Deer were an important food resource and, in some areas, were the most widely hunted land animal. 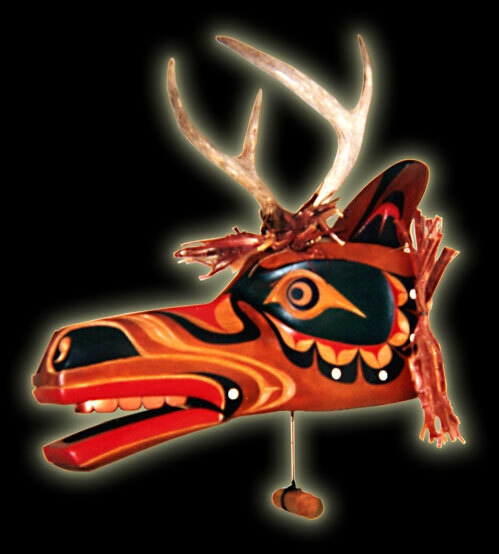 The healing sticks of shamans often feature hoof rattles. In the art, Deer is represented fairly naturalistically, with a long, narrow snout; delicate, regular features; smallish, rounded ears; and antlers. Height - 30 " I Width - 12 " Lenght 30"